Comments:”Beneath The Black” Doctor Crowe and his companion, Nora face the Bog Men. The art needs to be more focused. It is hard to make out everything that is happening. This is one short adventure. It has action and fighting but does not have any build up. Its over almost before it begins. You have no time to learn who the characters are. A man with a crow mask and a girl with guns and that’s all you know. 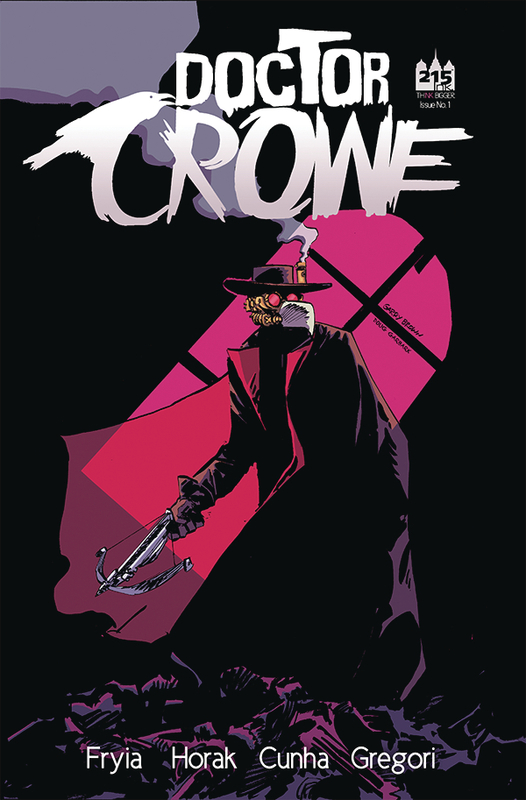 “Wretched” Doctor Crowe has a patient and he does get to treat him. Things do not turn out for the best. The patient has some nice close ups where he is well drawn. Doctor Crowe though is not shown well. He does though send a wretched soul to their final resting place. “The Lost Coven” Doctor Crowe is after Dark Witches here. The style is dark with a noir sense to it. Here he makes short work of the witches but it is not overly rushed. There is time to enjoy the characters. 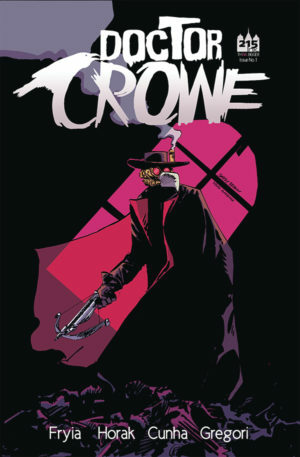 Doctor Crowe is a mystery though. “Dreamwaker” The colors are great. The art style is like for a young child. The Doctor does know what he is doing in saving people that need his help. We do get a brief explanation of the Doctor and why he does what he does. This little write up here is the best part of the comic. It makes you interested in who Doctor Victor Crowe is. The Doctor is the cure just make sure your not the disease.